335,00 € прибл. 24.110,59 руб. 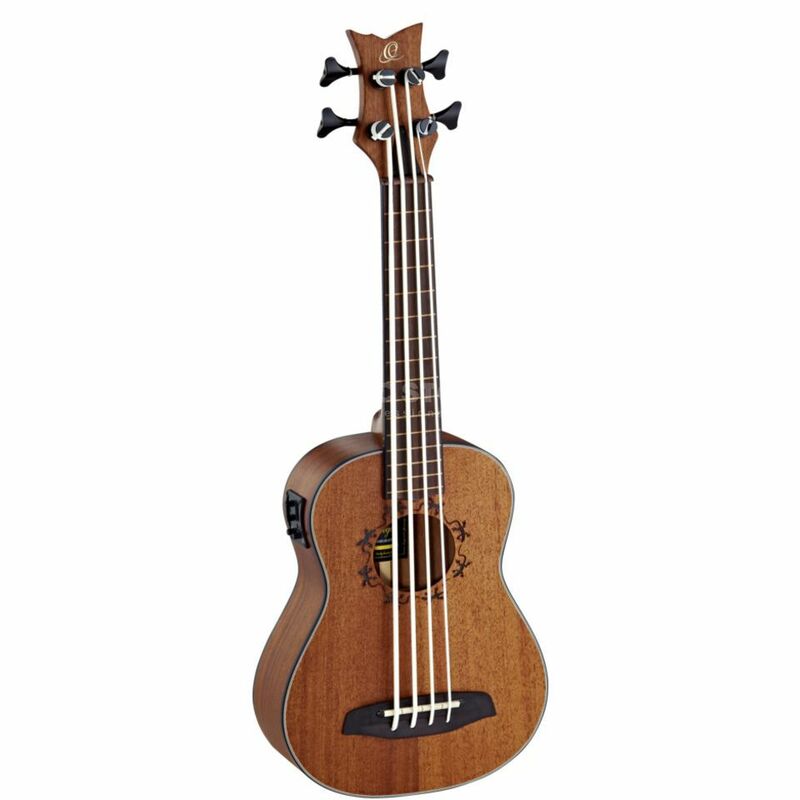 The Ortega LIZZY-BSFL-GB Fretless Bass Ukulele is a 4-string fretless bass ukulele, featuring a mahogany body and neck, a rosewood fretboard, an Ortega MagusUke Bass pickup, and a natural satin finish. The LIZZY-BSFL-GB is a sturdy and reliable baritone electro bass ukulele that come in a gigbag. Constructed with a mahogany top and back, satin finished, this bass ukulele is equipped with Aquila Thundergut Uke Bass strings. This fretless bass features a soundhole surrounded by little lasered lizards, and is further equipped with the brand new Ortega MagusUke preamp and pickup system for bass.